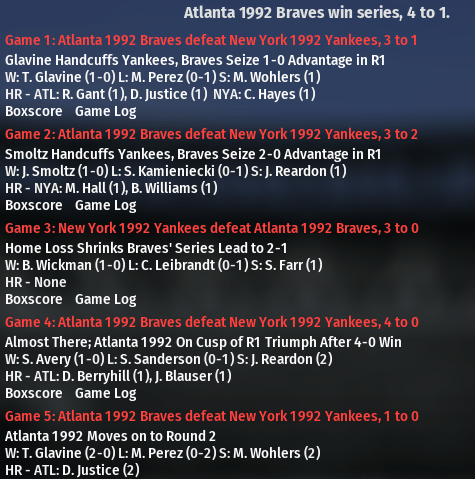 Braves get great pitching and just enough offense to beat the Yankees 4 games to 1 to start off the 92 Tournament. Dave Justice adds a couple of homers for the Braves. Braves will move on to face the winner of the Expos/Orioles series.